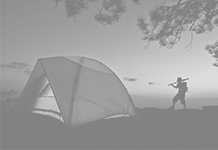 Home Camping Gear 10 Camping Sleeping Bags to Cuddle You Dearly! 10 Camping Sleeping Bags to Cuddle You Dearly! 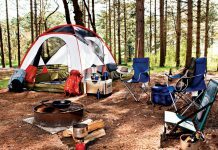 Camping sleeping bags and outdoor vacations go hand in hand. Most campers, hikers, mountaineers prefer to use a sleeping bag as it provides warmth and also a sense of security when you are all zipped inside it. For those requiring additional security items, check out www.123cctv.com. 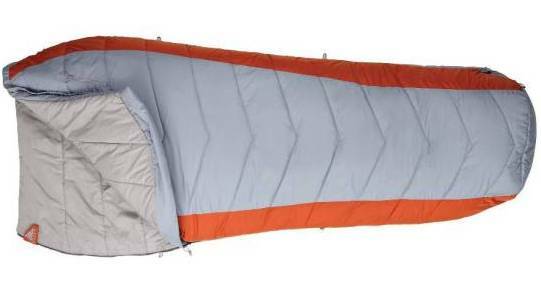 Sleeping bags are easy to maintain as most of them are machine washable plus they are made of durable material to last you long. Available in a host of colors and styles there are plenty of sleeping bags to choose from. Here are a few sleeping bags that you may find worth of a look. 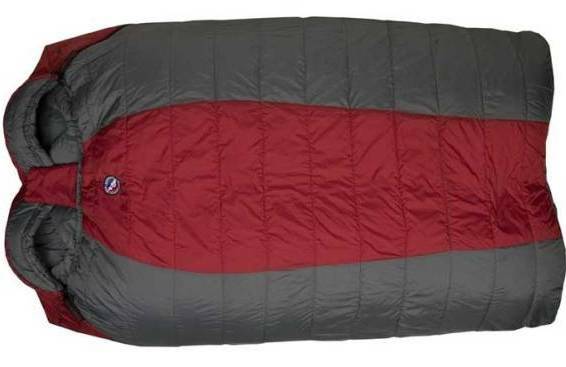 Coleman presents the Richland Creek Sleeping bag with a comfort range of 30 to 50 degrees. These camping sleeping bags have been designed with thought and the contoured pattern keeps your head on the bag and the bag off your face. It has a patented zipper that is snag free for ease. The special Roll Control makes it easier to roll. 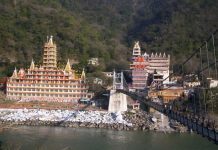 It is easy to maintain as the bag can be washed in the machine when the need be. The bag is big enough to accommodate a person who is 5’11”. The material including the insulation used to make the sleeping bag is 100% polyester. Check this out on campmor.com, available for $29.99. 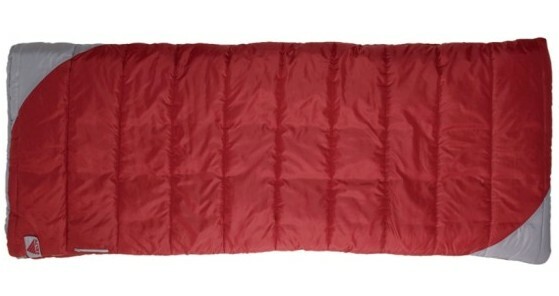 The bold Centennial Red camping sleeping bags from The North Face, the H.O.T. 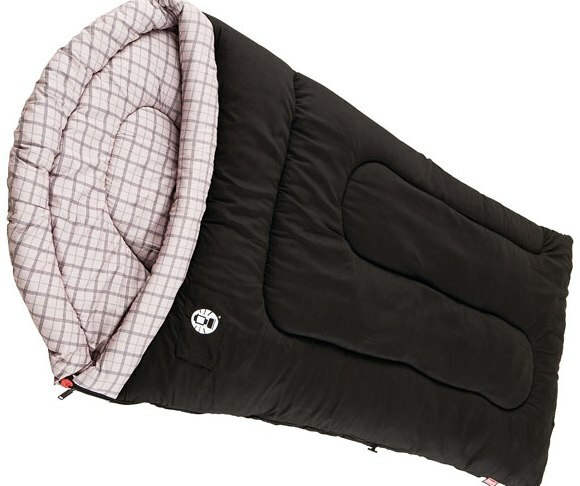 SL Trailhead Series Sleeping Bag keeps you really warm due to its new technology. The synthetic insulation is made with the Heatsheild Optimal Technology (H.O.T. SL), which makes it more durable and gives it high thermal efficiency as the core poly fibers are hollow. You can zip two of these together, provided you have a left zipper and a right zipper sleeping bag. It has an ergonomic foot bed too. It comes with its own stuff bag for easy store. The inner and outer shells are made of Enduralite Ripstop polyester material. Order yours today on campmor.com for $99.98. 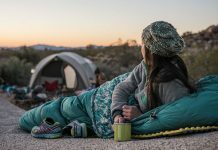 Big Agnes Cabin Creek Sleeping Bag is meant to be shared by two people. It is double wide and has an integrated pad sleeve to keep you comfortable. Zippers on both sides give easy access to both sleepers. It also has built in pockets for pillows. It keeps you warm thanks to features like no-draft neck collar and zipper tube insulation along with a center no-draft flap to keep you warm even if you move when asleep. These camping sleeping bags provide two separate sleeping pads and come with its own stuff sack. 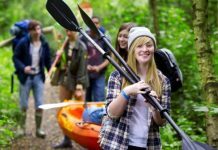 Get more details on campsaver.com. A good choice when camping or on the road, the Recreation Sleeping Bag from the Eureka Sandstone line has a polyester taffeta shell and a two way zipper. 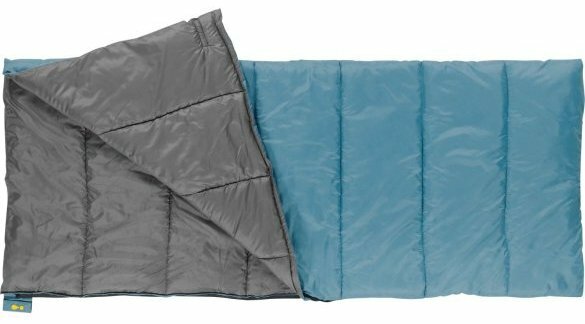 The sleeping bag has a one layer quilt construction and a polyester taffeta liner that dries quickly. These camping sleeping bags are warm, tough and comfortable. The Recreation Sleeping bags from Eureka are filled with Therma Shield premium polyester fill to give you extra warmth and softness. The unique 7 hold construction of Therma Shield traps warmth and is perfect for cold weather. Available on amazon.com, it is a good choice for the price of $36.50. A stylish and practical sleeping bag, the Kelty Coromell CP 25 Degree Sleeping Bag comes with plenty of elbow room to give you maximum comfort while you sleep. 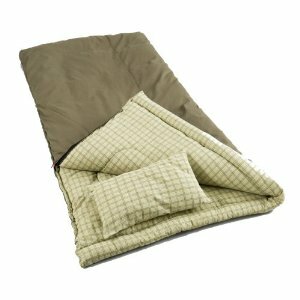 The sleeping bag has a unique semi-rectangular shape and a two layer offset quilt construction. Chevron stitching used on the bag maintains its individual warmth. If required the camping sleeping bags can be unzipped completely to take the shape of a blanket. They also have an easy to access chest pocket to keep essentials that you may need in the night. 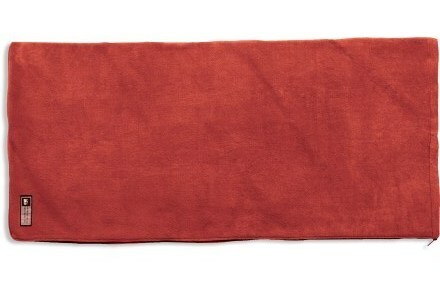 Check out this cozy bag available in two sizes on altrec.com. Prices starting at $119.95. The Kelty Lunar Sleeping Bag – 20 Degree not only looks stylish but is also very comfortable with plenty of elbow room. 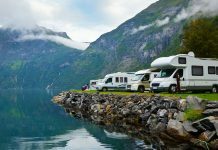 It can be easily unzipped completely to form a blanket, especially useful on campsites and road trips. The Lunar is simple to pack thanks to the roll up straps provided. Draft tube on zippers keeps the draft out, giving the much needed warmth. It even has a hidden pocket to place your camp pillow in. The external pockets on chest level give ample storage for night essentials. Check these camping sleeping bags out on altrec.com. It is available for $34.99. This Fleece sleeping bag from ALPS Mountaineering can be used as a sleeping bag or as a liner for other camping sleeping bags. It can also be unzipped completely to use as a blanket. It is a comfortable choice if you plan to use it in dorms or on warm nights when camping. 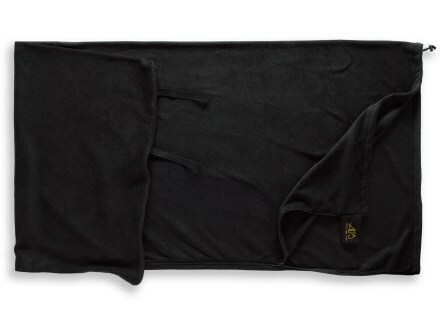 The material used is non-pilling Polyester fleece and it provides warmth as well as it is breathable and quick to dry. It comes with a nylon stuff-sack. 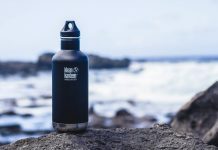 Available on rei.com, you can get it for a discounted price of $26.93. 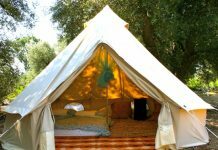 The perfect choice for kids’ slumber party during warm nights, it can also be used inside camping sleeping bags to increase the warmth. This kid’s sleeping bag/liner helps to extend a sleeping bag’s life as it prevents wear and tear. 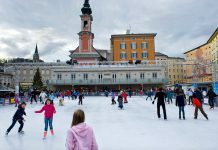 It can also be unzipped flat to take the shape of a blanket when needed. Made from soft midnight’s fleece it is easy to maintain and dries fast. Even when wet it can provide insulation. It comes with its own stuff sack. Check it on rei.com where it is available for $34.50 only. 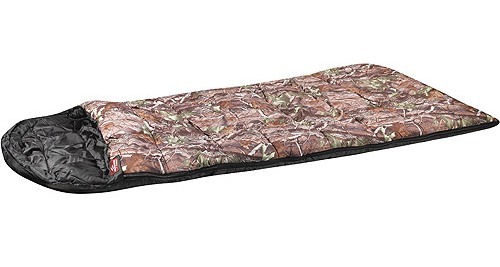 The Coleman Big Game sleeping bag keeps you warm even at -5 degrees. It is big enough to keep a person as tall as 6’5” comfortable inside it. It comes with a cotton canvas cover and a cozy flannel liner. These camping sleeping bags are built to eliminate any possible cold spots and a cotton flannel pillow is included. It keeps you warm with the help of 6 pounds of Coletherm Insulation. 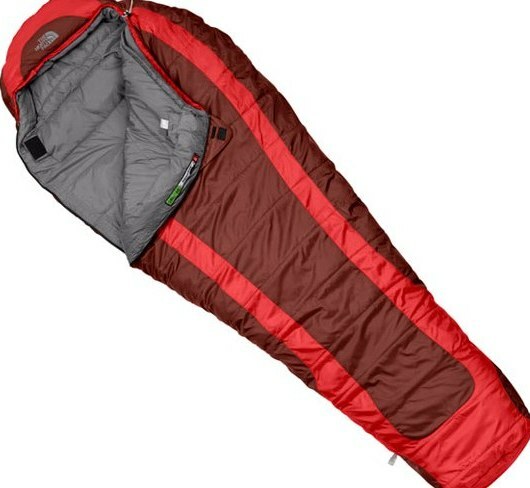 It can be zipped with another of its kind to form a double sleeping bag. It has special features like ZipPLow, Comfort Cuff and Wrap ’n’ Roll to take care of your comfort. You can buy yours from campmor.com for $79.97 only. The Realtree sleeping bag keeps you warm with three pounds of hollow fiber insulation. 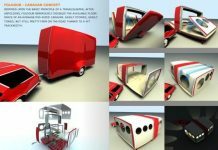 It has an offset layered construction to give maximum warmth. The full length zipper draft tubes lock the warmth inside. The camping sleeping bags are provided with a self repairing heavy duty zipper. They have a nylon lining and an outer shell that is made of water resistant nylon. They comes with their own storage bag. Available on walmart.com, you can buy one for only $40.00.